Their lunch special portions are back to normal! Our busy week has led to another lunch where we order in. 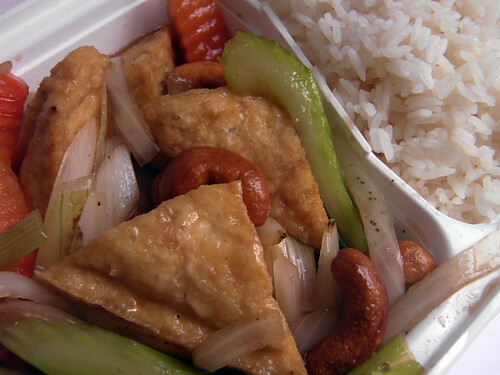 Straying from the usual Pad Prik King, tried the Pad Cashew Nut with Tofu. Kinda boring, but at least it wasn't bad. Hi! Love your blog but somehow have never left a comment. That fried tofu looks SO good!